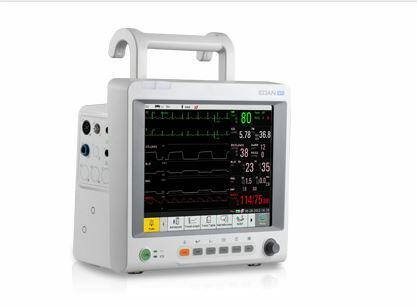 Designed to benefit critical monitoring and anesthesia monitoring with a large touch screen on a pre-configured basis, iM80 is outstanding among others of its kind. Being embedded with various communication capabilities including HL7, LAN, WLAN, Nurse Call, and Defibrillator Synchronization, iM80 can easily communicate and co-work with hospital information system and other hospital facilities. With a wide range of optional parameters from IBP to cardiac output, from capnography to anesthesia gas, iM80 can meet most clinical requirements in cardiaovascular monitoring and gas monitoring.